Ecologist David Kaplan surveys dying coastal trees in the Withlacoochee Gulf Preserve in Yankeetown, Florida. “The loss of these islands changes the landscape from a mosaic to one dominated by a single habitat — salt marsh,” said Kaplan, noting that the change means reduced habitat for some species of wading and migratory birds, as well as for turtles and snakes. A similar transformation is occurring in coastal floodplains across the southeastern and mid-Atlantic regions of the United States, representing what scientists say is the leading edge of climate change in what were once largely freshwater ecosystems. From Florida’s hammock islands to North Carolina’s swamp forests, rising sea levels, often compounded by regional water management practices, continue to push saline water further inland, wiping out swampy woodlands. “Ghost forests are a dramatic expression of climate change,” says Gregory Noe, a research ecologist with the U.S. Geological Survey who has been studying the impacts of dying cypress in the iconic swamps along the Savannah River, which forms much of the border between Georgia and South Carolina. In addition to killing off bottomland forests, saltwater intrusion is affecting wetland habitats in places along the U.S. East Coast like the Delaware Bay estuary, where encroaching sea levels are inundating the salt marsh and killing a line of forest fringing the coast — allowing a non-native, invasive strain of reed to colonize. While many of the ecological consequences of saltwater intrusion are still unknown, important swampy habitats for threatened species, such as the endangered red-cockaded woodpecker, are in peril, according to Marcelo Ardón, assistant professor of ecosystem ecology at North Carolina State University. Fisheries for species such as drum and catfish that are dependent on healthy wetland forests are being affected, as well. Because of the low elevation and flat or gently sloping characteristics of the southern U.S and mid-Atlantic coastal forests, these regions are among the most vulnerable globally to saltwater intrusion, experts say. But other wetland and estuarine ecosystems are threatened worldwide by increasing salinity. China’s Pearl River estuary on the South China Sea is experiencing the agricultural and ecological effects of saltwater intrusion. Drought and rising sea levels are allowing saltwater to spread as far as 50 miles into Vietnam’s Mekong Delta, affecting ecosystems and rice production. The rate of global sea level rise has increased significantly over the past several decades, a trend linked to climate change. According to the U.S. National Oceanic and Atmospheric Administration, during most of the 20th century sea levels were rising at 0.6 inches per decade. Since 1992, however, sea level has been rising at 1.2 inches per decade. Experts predict, for example, that by 2100, global warming will cause sea level to rise by as much as four to six feet worldwide, including from 3.3 to 6.6 feet along Florida’s Big Bend coast . Before bottomland hardwood forests disappear, the subtle signs of saltwater intrusion take place in the soil. Plant growth halts, trees and plants produce fewer seeds, and the seeds that do drop to the ground have a harder time germinating. “Even with relatively low levels of salinity, trees slow their growth,” Ardón says of swamp trees such as water tupelo and pond pine. Cypress trees are often the last to die, since they are among the most salt-tolerant of coastal forest trees. In Florida’s 413-acre Withlacoochee Gulf Preserve, Kaplan says there has been a steady decline in the raised hammock island forests, demonstrating how sea level rise is dynamically “re-shaping the coastal landscape in this region.” The cabbage palms and cedars rooted atop the flat, limestone substrate are resilient to occasional periods of salt exposure during storms. However, recent annual rates of sea level rise have upped the duration and intensity of salt-water exposure — the two factors that trigger tree die-off, says Kaplan, an assistant professor in the University of Florida’s Department of Environmental Engineering Sciences. Kaplan and his colleagues categorize the hammock island forests of the preserve into three groups: “healthy,” “stressed,” and “remnant” (or relic) stands. The forests, says Kaplan, are increasingly grouped in the latter two categories. On my recent visit to the Withlacoochee preserve, I pointed to a forested hammock island that appeared to be healthy. But Kaplan prompted me to take a closer look; barren cedar branches and an understory choked with marsh elder and other salt marsh shrubs became visible within the stand. “I would group it in ‘stressed,’” he says. Along the Savannah River, the coastal floodplain swamp is beginning to lose a footrace with rising seas. As mineral sediment combines with dead plants and roots to form peat, wetland forest soils build annually at the rate of about tenth of an inch, says Noe, the research ecologist with the USGS. This is a natural accretion that typically takes place in some southern swamps. But the accretion is not fast enough to keep up with recent annual sea level rise. Noe says that scientists and land managers are especially concerned about the appearance of ghost forests within the Savannah National Wildlife Refuge and other wildlife refuges, including preserves in Florida, South Carolina, North Carolina, Virginia, and Maryland. Both Kaplan and Ardón are investigating possible practices to stem the proliferation of ghost forests and are seeking to expand awareness among land managers and policy makers of the complex interactions that threaten coastal habitats. Kaplan believes that strategic land preservation could help slow the loss of imperiled coastal areas, allowing some wetland forests to migrate inland as sea levels rise, Kaplan explains. As part of a National Science Foundation-funded, $1.5 million collaborative project among North Carolina universities, researchers are working on mapping a vulnerability index for ecosystems prone to saltwater intrusion. Ardón, a member of the research team, hopes the maps will raise awareness among residents, water management planners, and local officials about how regional decisions can alter the ecosystem in the 2,300-square-mile Albemarle-Pamlico Peninsula and pinpoint areas that will be most threatened. “We hope these tools can be adapted to use in other areas,” Ardón says. At the Palmetto-Peartree Preserve, on the tip of the Albemarle-Pamlico Peninsula, however, the forests continue to die. “There are a good number of places where the forest has gone to marsh and other areas where the forests have been replaced with open water,” says Ardón. Ardón and Emily Bernhardt, a biogeochemist at Duke University, have already discovered that wetlands that normally improve water quality by retaining nutrients in soil — thus acting as a nitrogen sink — can quickly become a nitrogen source, releasing nitrogen and, in some cases, phosphorus, when they are affected by saltwater intrusion. Over the past several decades, in places such as Cumberland and Cape May counties in southern New Jersey, encroaching sea levels have been inundating salt marsh and killing forest flora such as tupelo, Atlantic white cedar, and shrubs fringing the coast. In some instances, a non-native, invasive strain of a reed, Phragmites australis, is taking root — thus preventing the marsh from retreating inland, according to a 2013 study. The transition to ghost forest here “creates an opportunity for colonization of these vacant areas by Phragmites, which is better adapted to the resulting brackish conditions,” reports ecologist Joseph A. M. Smith. Carol Collier, senior advisor for watershed management and policy at The Academy of Natural Sciences of Drexel University, worries about the impacts of shifting coastal wetlands on the region’s fisheries, water supply — and perhaps most vexing for coastal populations — the ability to buffer storms. Marshes and bottomland forest provide natural buffering against storm surge. “Climate change is having a major impact on the region, with sea level rise and the intensity of storms,” said Collier, the former executive director of the Delaware River Basin Commission. In the coming century, as sea level rises dramatically and human impacts on coastal ecosystems increase, scientists say the toll on wetland forested areas and bottomland hardwoods will be severe. “What little research has been done in forested coastal wetlands suggests that they will not be able to keep up with sea level rise,” says Ardón. Roger Real Drouin is a journalist who covers environmental issues. 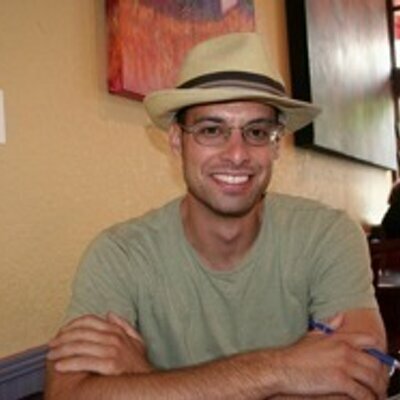 His articles have appeared in Grist.org, Mother Jones, The Atlantic Cities, and other publications. Previously for Yale Environment 360, he wrote about the bipartisan push for wind energy in Iowa.